Ok, I am an 'ex' nail biter. But a couple of months ago I was bad. I bit my nails really short and was desperate for them to grow back quickly because I wanted to do nail art that needed them to be long again! I found 'Grow Faster' by Essie. It is a base coat that can also be used a clear polish. It's awesome. I have be obsessed with Essie's Good To Go top coat for ages, but had never used any of their base coats. I ordered Grow Faster, because I was running low on base coat and thought it couldn't hurt to see if it makes them grow. My nails have grown back really fast! I unfortunately am cursed with my mum's flimsy, thin, breakable nails and always have trouble keeping my nails long. But this base coat has improved the strength of my nails and they have been back to their normal length for about a month and they haven't split or ripped once! Great base coat definitely worth buying if you struggle with thin, breaking nails. To me occasional, very small staining is completely out weight by the positives of this base coat. 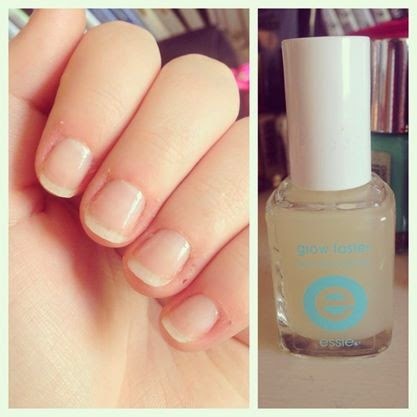 When wearing as a base coat - one generous coat to bare, clean nails. Let dry and apply a polish or design and top coat. 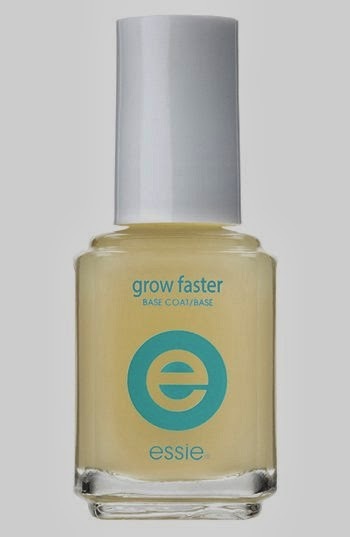 Let me know in the comments if you have an opinion on this base coat, or other polishes that you have found help grow and strengthen your nails!